We can't all replicate the talents of Chevy Chase's Clark Griswold Jr when it comes to turning a house into a blazing, Christmas beacon. But with the help of local councils, community groups and local bus companies you can still be dazzled and delighted this year with all the amazing Christmas lights displays created with love, passion, patience and kilowatts of Christmas cheer. If you want to do your own thing exploring Brisbane's colourful Christmassy concoctions then see Julian's article here for the lowdown on the best streets to visit. 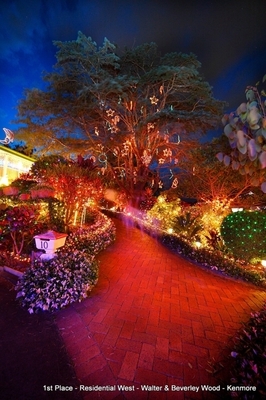 But if that seems a little too daunting or the prospect of a fully guided tour in the comfort of a coach or bus is more your style then read on for details of this year's Christmas Lights Tours in Brisbane, Ipswich, Moreton Bay and the Gold Coast. The famous 4KQ Christmas Lights Tours are run by Brisbane City Council and depart from four locations between Monday 17 and Friday 21 December so hop aboard a Council bus to explore the winning entries in the 26th annual 4KQ Christmas Lights competition. Winners were announced on Thursday 6 December and you'll find them from Morayfield in the north to Edens Landing in the south, and Victoria Point in the east to Kenmore in the west. Times: Buses depart at 6.45 pm nightly. 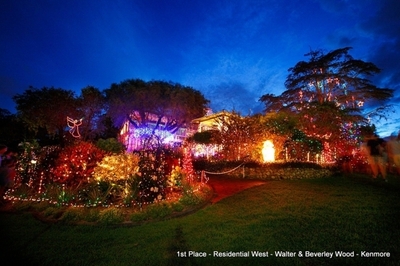 Image from 4KQ Christmas Lights. Ipswich City Council is running guided coach tours of entrants in the Ipswich Christmas Lights Competition. Your ticket will also entitle you to a light supper. Time: From 7pm to 9.45pm. Bookings: Essential. You can book and pay online here. Kangaroo Bus Lines will conduct their Magical Christmas Lights tours of the northern suburbs prize winning lights displays, and they'll even throw in a light twilight supper in the park before you set out. Cost: Family (2 adults and 2 children) $70, Adults $30, Children (12 and under) $20. Bookings: Essential. Call 1300 287 525. The Gold Coast City Council Christmas Lights Tour will be lightening the lives of Gold Coasters every night for 2 1/2 weeks in the lead-up to Christmas, aboard Murrays Coaches. Dates: From Friday 7 December until Monday 24 December. Times: From 7pm to 10pm. Bookings: Online bookings here. For phone bookings call 132251. If you can't make it to any of these lights tours then check out this scene from National Lampoons' Christmas Vacation. Why? 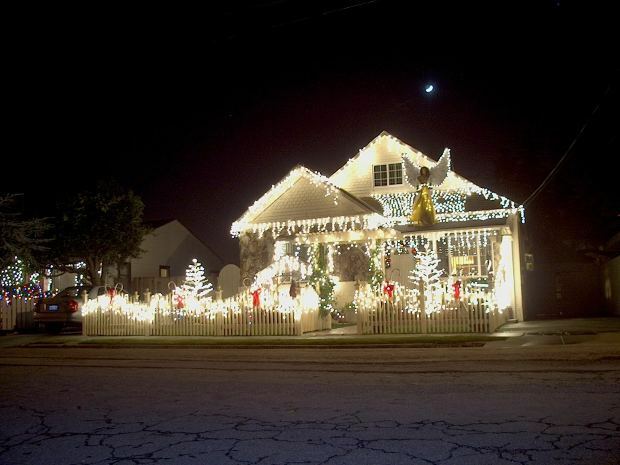 Because there's a little Clark Griswold in all of us. Excellent I have tried lots of sites for info on Christmas light tours but this is by far the best and easiest info I have seen thank you for being so helpful.